American Indian communities in the United States have some of the highest rates of diabetes and cardiovascular and liver disease. A combination of poverty, limited access to healthcare, a lack of access to fresh food, and high stress contribute to these health problems. But, a movement led by indigenous leaders is gaining steam: the aim is to improve the health, well-being, and economic sovereignty of indigenous communities. Many of these leaders have found that change starts with food. The indigenous food sovereignty movement began as a way for American Indians to regain autonomy while restoring their own physical health and relationships to ancestral land. This was achieved by returning to tribal farming and cultivation practices, and improving indigenous communities’ access to their traditional foods. American Indians like the Sioux Chef and groups like the I-Collective have garnered attention nationally for their contributions to the indigenous food sovereignty movement. They’ve created award-winning restaurants, cookbooks, farms, and educational resources. 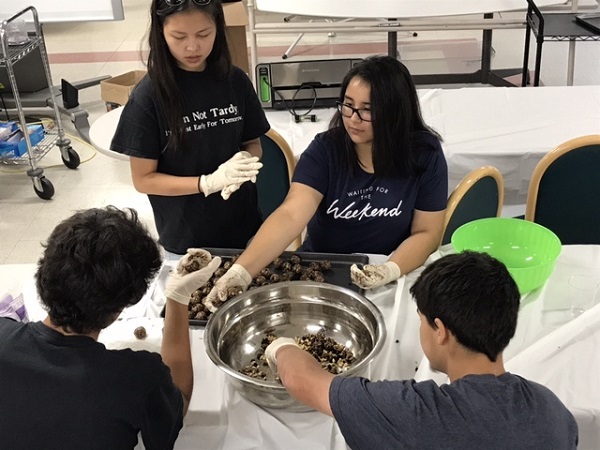 Part of the work has been to educate American Indian communities on the effects of colonization on their diet and how to cultivate a relationship to indigenous culture and history through their food. California is home to the largest population of American Indians in the country, with 720,000 indigenous people, making up 12 percent of the overall population. The Bay Area and the North Bay are intrinsic parts of the indigenous food sovereignty movement, with chefs like Crystal Wahpepah of Oakland and Vincent Medina and Luis Trevino of Berkeley sharing food traditions on TV shows, in urban areas, and bringing indigenous health and rights to the forefront of American consciousness. 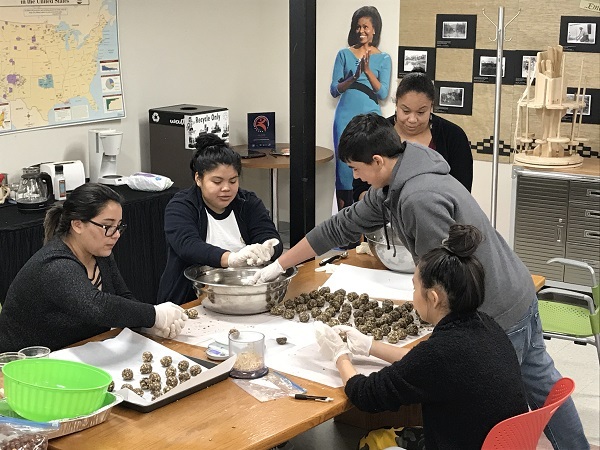 It is against this backdrop that the California Indian Museum and Cultural Center (CIMCC) in Santa Rosa created its own indigenous food sovereignty project led by Tribal Youth Ambassadors. The project went on display in October and runs into 2019, and features educational videos, food events, and workshops to raise public awareness of indigenous foods and culture in Sonoma County. To be able to reconnect with almost lost cultural traditions is something to celebrate and highlight, says Nikki Myers-Lim, CIMCC’s executive director. Myers-Lim grew up in Sonoma County. She says that she and other Native youth didn’t always have the resources to learn about their history, culture, and identity, which was why the Tribal Youth Ambassadors were founded and why they are leading the exhibit at CIMCC. One of youth ambassadors came up with the idea to use acorns, a vitamin rich food source, to create a protein bar. 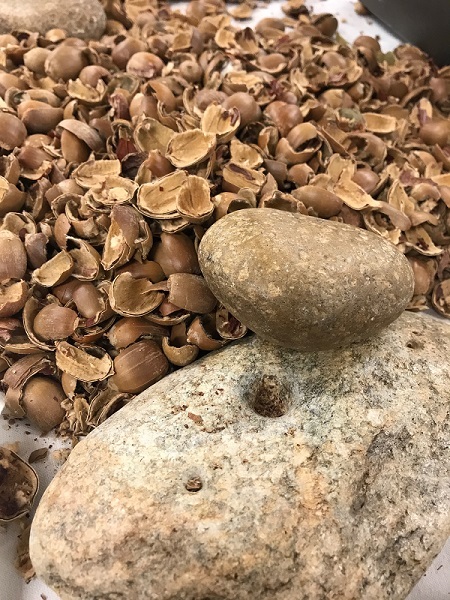 Myers-Lim loved this modern interpretation of a traditional indigenous food, and so the Tribal Youth Ambassadors worked with local indigenous chefs and historians to learn more about this nut commonly found around Sonoma County. about acorns and how they benefit us as individuals and culturally,” adds Myers-Lim. Before colonization, 75% of California American Indians depended on acorns as a food staple. The tribes used different methods of preparing, processing, and storing acorns to remove their tannic acid and bitter taste to create soups, breads, and snacks. Unfortunately, with the arrival of white settlers, the tribes were forced to adopt European food customs. The use of acorn went underground. Through this research, Lim and her fellow youth ambassadors wrote, directed, and filmed a series of films on food sovereignty. They worked with Crystal Wahpepah on recipe development for protein bites made from Northern California-sourced acorns. The protein bites will be available for purchase during the museum events.